In a well fought final of the Rotary Bangalore Indiranagar Inter Collegiate President Cup, Christ College defeated Jain University 3-0. Both teams failed to break the deadlock in the regulation time. In the penalty shootout, Jain University boys failed to score against Christ’s three. 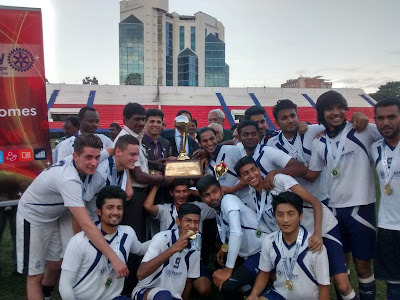 S Arjun, Alex, and Majuhid were the goal scorers for Christ College.